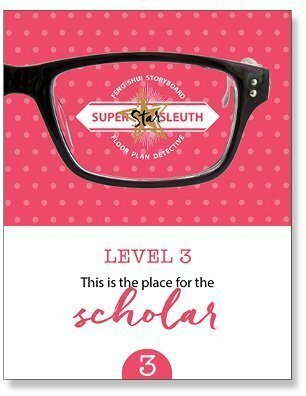 This is the perfect place for the scholarly. You’ve poured over all the levels, and you want more. You’re yearning for excellence and want to work with the Grandmaster’s prodigy herself to receive the ultimate support and encouragement. 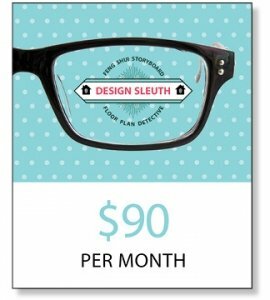 As a SUPERSTAR SLEUTH, delve deeply into mastery with Katherine, your own personal Sherlock, and tap into her more than 30 years of experience in Feng Shui. Together you will unravel the hidden, quirky, and nuanced clues that you might miss without her trained, masterful eye. Invest in your ongoing education, discover Feng Shui’s place in your career, develop your unique eye for detail, and connect with your compassionate heart. 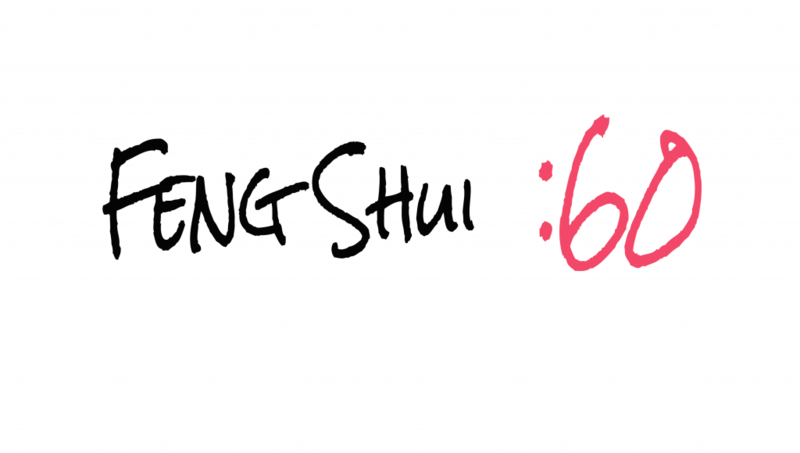 If you can’t get enough of Feng Shui, join us for the challenge. 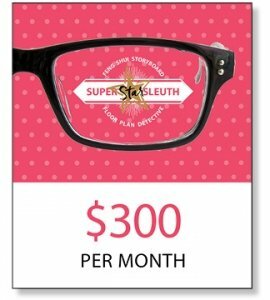 In addition to enjoying all of the offerings in SUPER SLEUTH, SUPERSTAR SLEUTHS receive private, one-on-one mentoring with Katherine. As a scholar you will receive support and loving inspiration; encouragement; momentum; a safe environment; and a sense of renewal nurtured by friendship, acceptance, enthusiasm, and cooperation. Mentoring, like Feng Shui, is an ancient art. Just as wind and water persistently change the things they touch, our lives are changed by the dance of the mentoring relationship. 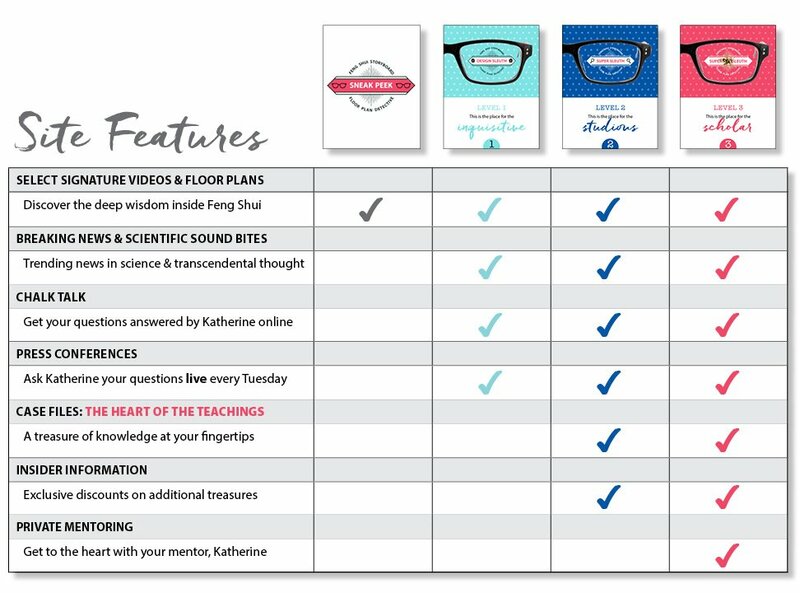 Our videos are fun and informative, and will have you looking with new eyes—and discovering what rests far beyond the typical Feng Shui rules, tips, and taboos. 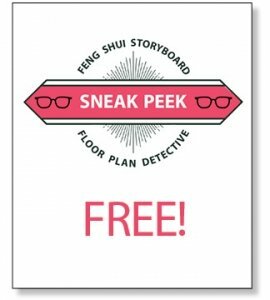 You will receive the floor plan that corresponds to each video, making it easy to follow along and solve the mystery—perhaps even a mystery in your own home. Our membership community stays up-to-date, and you will have access to news and stories about Feng Shui, color, design, and transcendental thought. This is our online forum where you can ask questions at any time and be assured of a quick and informed answer from Katherine. The answers help everyone better understand how and why a mystery unfolds as it does. Live every Tuesday, join Katherine and other Storyboard members via phone and webcast to review essential module information and ask all the questions you have. A robust and carefully curated collection of documents, audio files, and private Pinterest Boards that support each signature story. This is the heart of the Storyboard offerings. 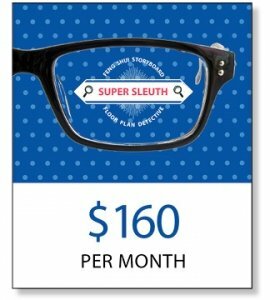 Here you will find additional documents and audios for purchase at our exclusive membership pricing. Each one is an extension to the knowledge acquired in the module at hand. Expert guidance and teachings from Katherine. Interested in other Membership Opportunities? Katherine has created a collection of inspirational quotes from H. H. Grandmaster Professor Lin Yun gathered and archived over a period of 25 years. We hope you will hear Professor’s whispers and feel the heart of a Master. FYI: This is Katherine’s favorite thing to do! Katherine shares Feng Shui tips in Small Bites. We are changing the conversation about Feng Shui, dispelling some myths and adding important nuances crucial to understanding the relevance of Feng Shui today. We are finding a common language with all those who bring spaces to life, and all those who want to understand how the built environment affects those who live and work within.